BMW showcased the facelifted version of its flagship offering, the 7-Series in China. The reason for choosing China over any other location is the importance of the Chinese market for the German car manufacturer. China has contributed to 44 per cent of global BMW 7 Series sales. BMW has been working on its niche offerings with the launch of new models such as the X7 SUV and also the new 8 Series. The company believes that China will be a key market for these luxury vehicles. 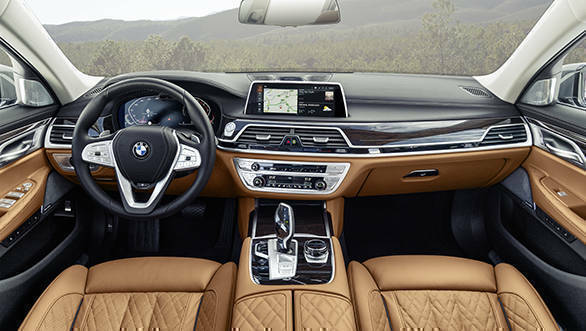 The cabin design of BMW 7 Series facelift continuous to be as luxurious as always. It gets a 12.3-inch digital instrument cluster and a 10.25-inch Control Display on the centre. The trim has been updated with a new design leather wrapped steering wheel and updated panels with driver assistance features. The 7 Series now gets Bowers and Wilkins Diamond 3D surround system as an optional feature. Occupants seated at the back can make use of the rear-seat entertainment system with full-HD touchscreen display. BMW claims that sound proofing has been improved around the rear wheel arches, B-pillars and seatbelt outlet covers in the rear, and for the side windows and rear window. In terms of powertrain, the updated line-up of engines is all variants meet the Euro 6d-TEMP exhaust standard. A V12 engine in offered in the the BMW M760Li xDrive. 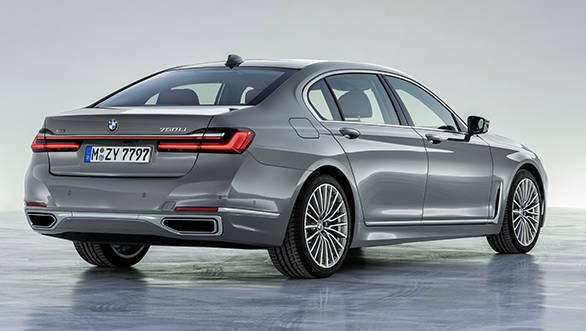 The V8's output ha been raised by 80PS to make it deliver 530PS for the BMW 750i xDrive. There will be three diesel engine options with up to four turbochargers and outputs ranging from 265PS to 400PS. 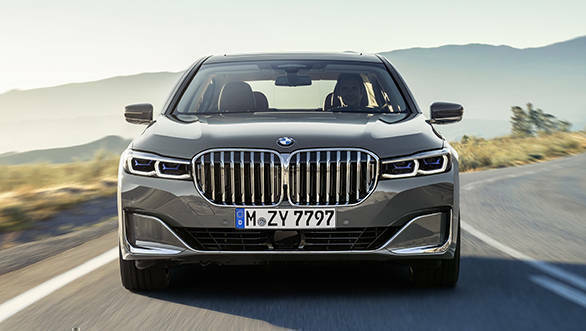 Additionally, BMW is also offering plug-in hybrid variants of the new 7 Series with specially adapted six-cylinder in-line petrol engine and upgraded high-voltage battery. The system output in Sport mode has been raised to a maximum of 394PS whereas the electric range has been increased to 50  58 kilometres. BMW states adaptive suspension and two-axle air suspension are fitted as standard. Integral Active Steering and Executive Drive Pro with active roll stabilisation (not available for plug-in hybrid models) will be available as options. 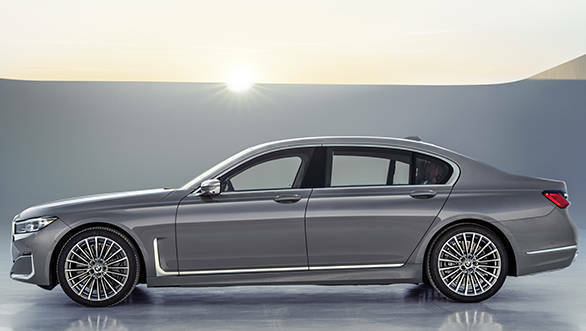 BMW M760Li xDrive and plug-in hybrid variants with model-specific chassis tuning will also be on offer.